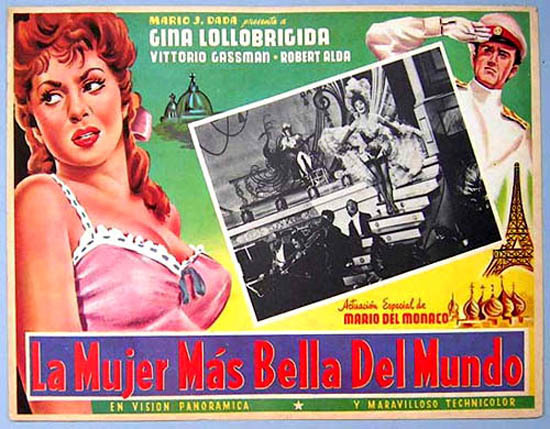 LA MUJER MAS BELLA DEL MUNDO - (1955) (Italian Language) 103 min: Starring: Gina Lollobrigida, Vittorio Gassman, Robert Alda. 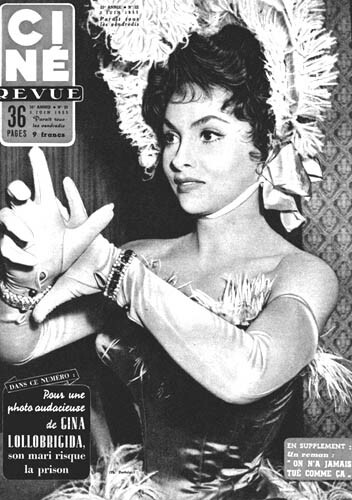 Lollobrigida is cast as Lina Cavaliari, an earthy Italian peasant who becomes a world-renowned opera singer. She also matriculates into something of a mantrap, making up for all the years that she was spurned and ignored by her “betters.” One of Lina’s many swains is played by none other than Robert Alda. Also known as “Beautiful But Dangerous” and “The Most Beautiful Woman in the World,” the film benefits immeasurably from Mario Bava’s sumptuous cinematography and the bonus of Gina doing her own singing.